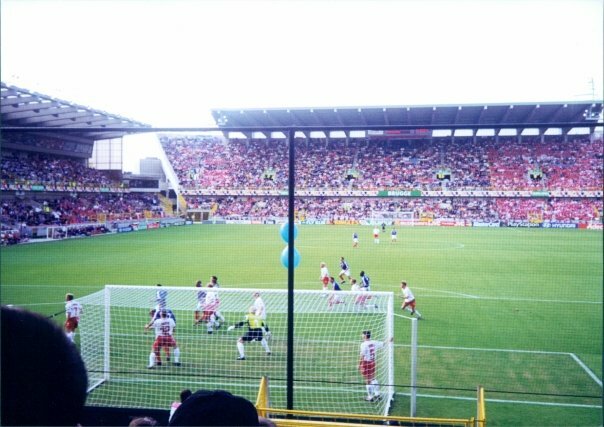 Thirteen years later some 2,500 inebriated Wiganers made the same journey, but I bet you never got chatted up by four female* Charlton fans eh? I know who the winner of this competition is …* they were all a bit butch. 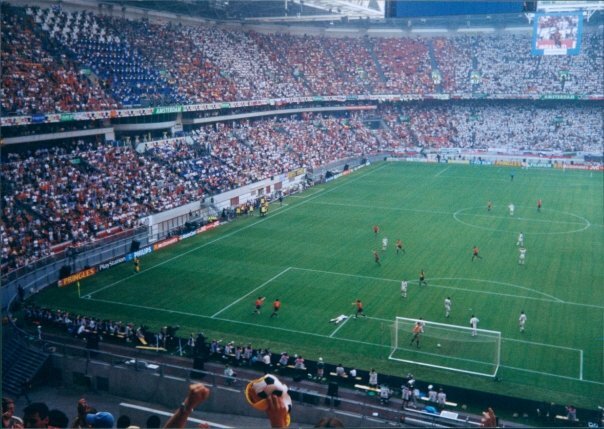 Spain won the game with goals from Raul and Etxeberria in the fabulous Amsterdam Arena, this was a state of the art stadium in 2000, and it still baffles me how the final wasn’t held here in favour of Rotterdam’s De Kuip, which is an inferior stadium in every way. So off we flew again and spent the day soaking up the atmosphere in the city centre. The day had such a buzz about it and fans mingled all over the city, not many people asked about our Latics shirts, as this was pre Premier League era no-one had heard of Little Wigan. On our quest for food we walked and walked past restaurant and restaurant until we literally reached the ‘Other Side of the Tracks’. 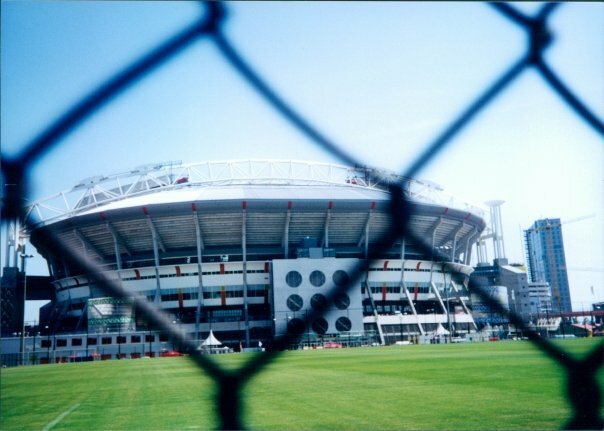 We had hit the roughest part of Rotterdam and hastily retreated before anyone spotted us, and made it back to the relative safety of the French fans. The match itself was fairly uneventful, the highlight being the body painted girls who were ‘dancing around a bit’ before the game. Things were going to plan as Italy opened the scoring through Marco Delvecchio, the Azzuri fans were partying and praying for the final whistle. 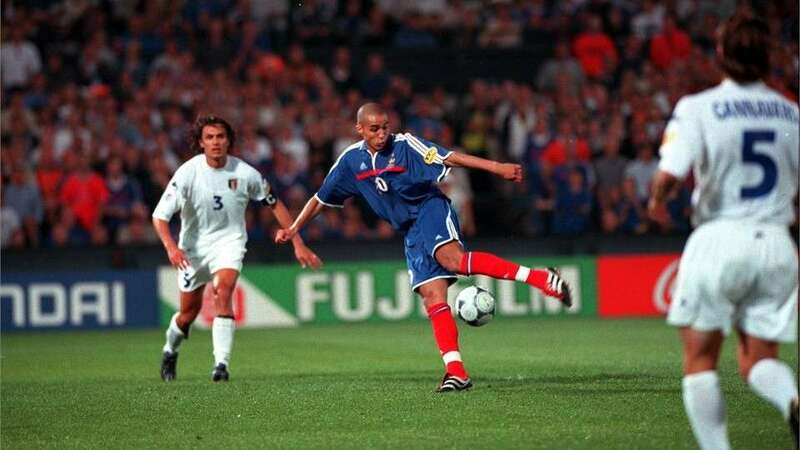 Then it all turned sour for the Italians, Wiltord equalised in injury time and David Trezeguet scored the Golden Goal winner to earn France the European Championship to go with the World Cup. The Italians were shattered, I felt their pain as it is a heartbreaking way to lose any game, never mind when it’s the National Team.